In just a month, West Ham have gone from being on the cusp of the illustrious 7th place spot to lingering outside the top half altogether. This would likely be a crisis for any other club, but its simply the annual mid-season meltdown for the Hammers. So how did this happen? Are the teams above us simply better sides, or do we only have ourselves to blame? The best way to analyse this is to compare our obvious weaknesses to the teams around us, looking for an explanation as to why we are essentially underperforming, given the investment made and the appointment of such a high-profile manager. Looking at the Premier League table begins our journey into West Ham’s underwhelming season. 48 goals conceded is a statistic that sticks out like a sore thumb. That number is higher than that of every team above West Ham and, even more worryingly, 3 teams below them too. But where does the issue lie with West Ham’s defence? Any sane football fan could tell you that Fabianski in net is definitely not the issue. The commanding Polish stopper has single-handily kept that number at the remotely acceptable figure it is currently. Fabianski made seven saves against Everton on Saturday alone and it will not be the last time he bails out our horrendous defence this season. So, this suggests the defence is the issue, right? Well, yes and no. Issa Diop has been brilliant this season, even if a couple of dodgy games against Cardiff and Everton are enough for half our fanbase to turn their back on the Frenchman, resulting in ludicrous calls for James Collins to return plastered across Twitter feeds over the weekend. Diop is a warrior and a natural athlete. Admittedly, he can look rash and uncomfortable at times but the towering centre-back has only just turned 22. He has so much time on his side and had been remarkable this season, up until Fabian Balbuena’s unfortunate injury. It is no coincidence that our defence has become, somehow, even more calamitous in the Paraguayan’s absence. ‘The General’ is a leader, hence the nickname, and knows how to organise a defence. This is essential in adhering to Pellegrini’s high line and Everton’s opener on Saturday certainly would not have happened with Balbuena on the pitch. A leader is crucial. Both Ogbonna and Diop lack the minerals to control a backline and ultimately dominate an opposing striker. Wes Morgan has seen a career revival at Leicester this season, despite being a lesser player than teammate Jonny Evans, whom he is keeping out of the side. This shows how indispensable a leader is. Balbuena’s return is very timely and very welcome. A defence is not made up of only centre-backs. As a partnership, Diop and Balbuena are the best pairing outside the top 6. However, the same can not be said for our full-backs. 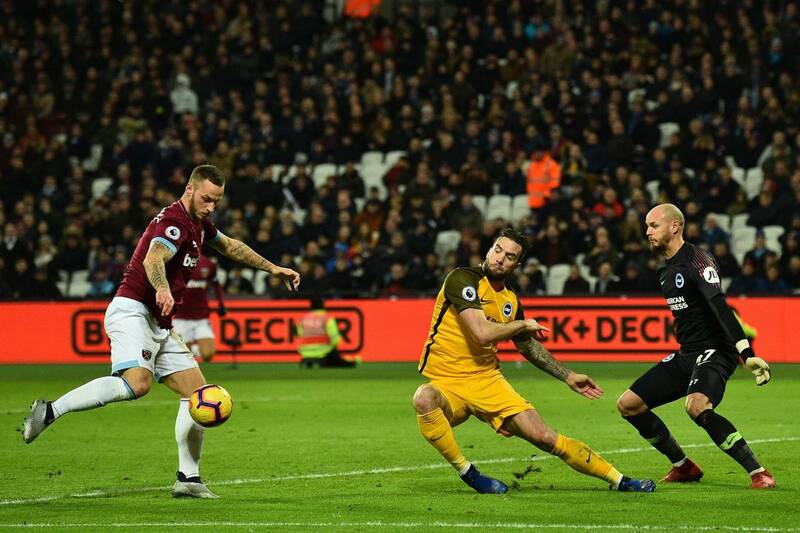 Cresswell is arguably our most inconsistent performer, alternating between defensively solid and deficient of any footballing brain whatsoever on a regular basis – sometimes even in the same game. On the other flank we have the unenviable choice between an inexperienced, injury-prone Ryan Fredericks or an ageing Pablo Zabaleta, who is about as good one-on-one with a winger with any form of pace as is a plank of wood. Our options in these positions are terrible, at least when compared those around us. Coleman is a seasoned veteran like Zabaleta, except the Irishman still at least has a yard of pace. Lucas Digne and Ben Chilwell look like top 4 quality players and even Jose Holebas of Watford is such a force going forward that his defensive shortcomings are compensated for, unlike Cresswell. In short, our players are not good enough, the league average is beyond us. This trend continues into midfield, where game after game Declan Rice is left to fill the gigantic chasm left in the middle. Noble has had a decent season next to young Dec, but he is clearly not the level we need in that box-to-box role. Ndidi, Gueye and Doucoure are all midfielders capable of playing for the world’s biggest clubs as their jack-of-all-trade skillsets make them pivotal figures in any match of any magnitude. Obviously, Rice is a fantastic ball-winner and distributor, but he cannot protect the backline alone. The aforementioned superstars are usually coupled with hard-working counterparts, such as Capoue or Gomes, creating a formidable block to cover up any defensive deficiencies their defenders may bring. Rice is isolated, being forced to play next to Pedro Obiang who frankly couldn’t care less about the club. The engine room is essential; the mid-table rivals have found their spark, but ours isn’t running smoothly. Creativity is one aspect in which we can match our rivals. Anderson has been scintillating and, on his day, Lanzini is just as good a creative force as Sigurdsson or Maddison. However, there lies one issue. They are creating chances for a mopey Arnautovic, a lazy Hernandez, a crocked Carroll and a simply useless Lucas Perez; the latter who we all hope we never have to see don the claret and blue ever again. As has been the case for the past three years, we are still a top-quality striker away from breaking into the next level. To summarise, we are not getting into the top ten this season. It is obvious that our squad lacks depth and quality, and that’s compared to the three teams above us. Wolves are not even in the equation, as they are undisputedly the ‘best of the rest’, having achieved everything we have dreamed of since our return to the top flight in their first season back in the bigtime. Seventh place and an FA Cup semi-final is now the bar, but at the time of writing, three teams are better equipped to match Wolves next season than we are. Investment is needed. Our poor squad, coupled with injuries this season, has led to results that simply aren’t good enough (Cardiff, Burnley and Bournemouth away all spring to mind). Top ten would be impressive given our season culminates with four tough away games and two home games which could be banana skins. But then again, we are West Ham, who knows what could happen?